Rastarella Falade, of Cultural Vibrations, talks to us about her upcoming show, the Black History Month Live Music Special, and unity through music. 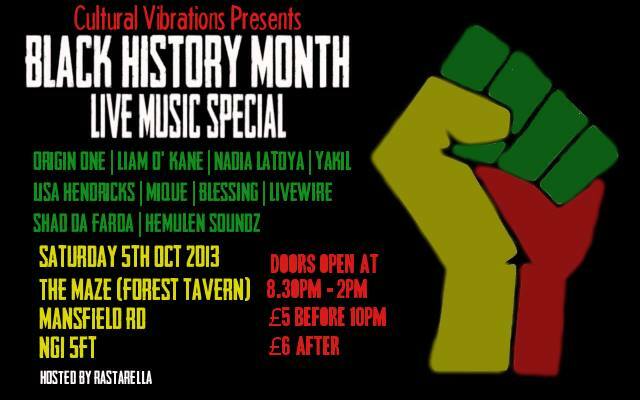 On Saturday 5th October, I will be hosting my Black History Month Live music special at the Maze on Mansfield Road. I decided to create this event because I personally think the city trails behind other cities somewhat when it comes to promoting and supporting events & musicians that have roots in black culture. Initially I approached the council in hope that they would be able to create some kind of black history programming so that the local communities would know what was happening and where but nothing came of it. I was told someone would get in touch but 2 months later no one has been. 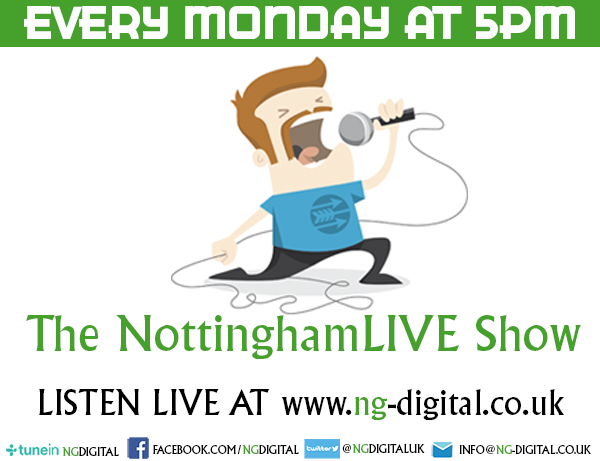 Thankfully I am a very proactive woman so this June I approached Gaz at the Maze and asked if I could host a night of live music that would promote and showcase diverse Nottingham singer/songwriters/bands, I confirmed the date and so began the creating part of finalizing my line-up. As with all my Cultural Vibrations (Unity through music) events I enjoy putting on different genres of music so that no event is ever the same and also that it brings together different kinds of people. Tomorrow night there will be a fantastic mixture of Soul, R&B, Reggae, Hip Hop, Dancehall, Acoustic and Fusion keeping the Maze stage buzzing all night with live music and positive vibes. I enjoy helping musicians with exposure and giving them a platform to perform and feel appreciated. When it comes to music of black origin I think that it deserves to sit alongside all the other genres of music because it represents a whole wealth of music that stems from all over Africa and the Caribbean. What’s not to love about music that makes you want to dance, sing-along and generally have a good time? I will have the whole of the Maze dancing and singing along while they show support to Nadia LaToya, Lisa Hendricks, Origin One, Yakil, Livewire, Blessing, Mique, Shad da Farda and DJ Hemulen Soundz. The heart of all my events lies in creating unity, happy vibes and people being able to be themselves and in doing so they end up having a brilliant time. To quote myself ‘Unity is easy when we look within not at the skin’ so I hope to see many people tomorrow night ready to enjoy and support a night of fantastic live music. Yeah man! Unity is easy..look within..not at the skin.